Menomonee Falls, Wisconsin is a beautiful area filled with many area of interest. The Menomonee Falls are one of the most popular things for visitors to see. If while you are out there checking this area out, a toothache comes on, it is vital that you get that looked at as soon as possible. There are many Menomonee Falls dentists and specialists available to help you during your dental emergency. When it is time to find a dentist in Menomonee Falls, turn to emergencydentistsusa.com. We have done the work of finding area dentists and putting them into a list for you to view. All you have left to do is check over the list, choose the dentist best suited to you, and give them a call to set up an appointment. You can always call our toll-free dentist finder hotline if you are in a hurry or are having issues reading the list. Our hotline team is there to listen to your needs. They have been trained to help you identify the dentist or dental specialist best suited to your needs. We go through the available options and let you know their hours of operation. From there, tell us who you would like to see and we can set up your first appointment for you. We suggest you come to the appointment 15 minutes early. This gives you time to ask questions and fill out any required paperwork. Bring your insurance card, ID, and payment method with you along with a list of current medications and allergies. You may be worried that your choices might be limited being new to the Menomonee Falls area but that is not the case. Menomonee Falls has many dentist and dental specialists such as oral surgeons, pediatric specialists, cosmetic specialists, and more available for you. Before seeing a specialist, consult your general dentist to determine if a specialist is necessary. If they feel one is, they will refer you. Description: Falls Dental Associates wants to help you maintain healthy teeth. 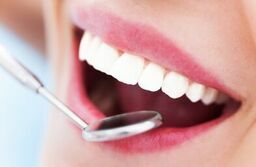 They provide a wide variety of services such as bonding, crowns, dentures, veneers, fillings, root canals, and much more. They accept most insurance plans and standard payment methods. Financing is available through CareCredit. Description: Falls Dental Group is devoted to restoring and enhancing your smile while using state of the art procedures. Infection control is important to them and they maintain standards recommended by the ADA. The team offers a wide variety of procedures such as cosmetic, fillings, periodontal, sealants, and much more. Description: North Hills Dental Arts is a family and cosmetic dentistry. The staff offers a wide variety of services such as general dentistry, whitening, crowns preventive care, periodontal, and more. Dental emergencies are welcome. The office accepts most insurance offered in the area. A toothache that comes on and lasts for longer than an hour or more needs to be looked at. If the problem is caught early it can prevent further issues from happening. Any pain that is a result from an accident should be treated first at the ER to rule out any serious injuries. Take a few minutes to do your research and check out the license of a new dentist you plan to visit. You an do this quickly by visiting the Wisconsin Dental Association website and performing a search of the dentist’s name. You can also request the information from the receptionist when you go to your first appointment.